Technological advances have greatly increased the potential for, and practicability of, using medical neurotechnologies to revolutionize how a wide array of neurological and nervous system diseases and dysfunctions are treated. These technologies have the potential to help reduce the impact of symptoms in neurological disorders such as Parkinson’s Disease and depression as well as help regain lost function caused by spinal cord damage or nerve damage. 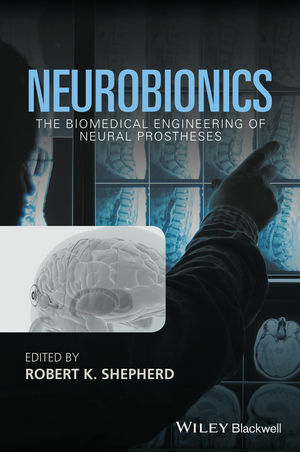 Medical Neurobionics is a concise overview of the biological underpinnings of neurotechnologies, the development process for these technologies, and the practical application of these advances in clinical settings. Medical Neurobionics is divided into three sections. The first section focuses specifically on providing a sound foundational understanding of the biological mechanisms that support the development of neurotechnologies. The second section looks at the efforts being carried out to develop new and exciting bioengineering advances. The book then closes with chapters that discuss practical clinical application and explore the ethical questions that surround neurobionics. A timely work that provides readers with a useful introduction to the field, Medical Neurobionics will be an essential book for neuroscientists, neuroengineers, biomedical researchers, and industry personnel. Robert Shepherd is Professor of Medical Bionics and Director of the Bionics Institute in the Department of Otolaryngology at the University of Melbourne.